The approach of Brexit and concerns over the future of diesel vehicles pushed demand for cars in the UK to a six-year low last month as sales fell 3.4 percent to 458,054. 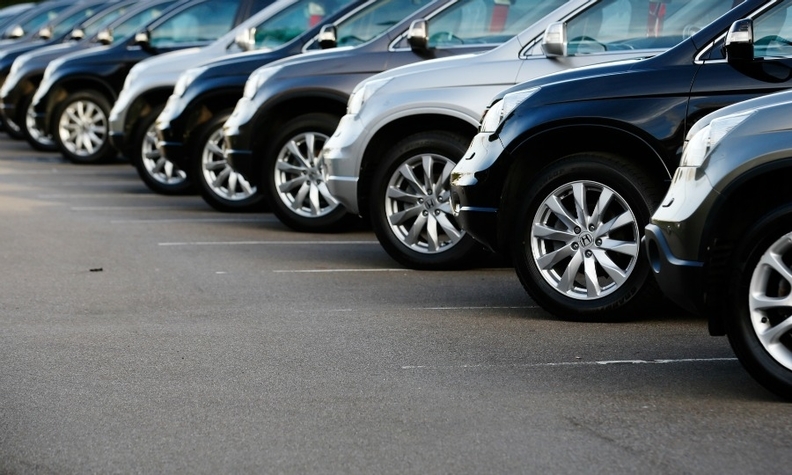 In the worst March sales since 2013, consumers stayed away from showrooms during what is usually a strong month for new purchases because of a number plate changeover, the Society of Motor Manufacturers and Traders said. "March is a key barometer for the new-car market, so this fall is of clear concern," the association's CEO Mike Hawes said Thursday in a statement. "We urgently need an end to the political and economic uncertainty by removing permanently the threat of a no-deal Brexit." Sales of diesel vehicles fell 21 percent last month, giving the powertrain a 26.3 percent market share, while gasoline was up 5.1 percent to a 68.1 percent share. Alternatively fueled vehicles, such as electrified vehicles, increased 7.6 percent to give them a 5.5 percent market share. Mass-market brands had a mixed month in March. Sales at market leader Ford fell 19 percent, while No. 2-ranked Volkswagen rose 1.3 percent. No. 3 Vauxhall saw volume rise 2.1 percent, ahead of sister brand Peugeot, which rose 1 percent, but behind sibling Citroen, which jumped 22 percent. Fourth-place Mercedes-Benz increased 1 percent, while rival BMW rounded out the top five sellers with a fall of 4.1 percent. Other losers included Nissan, down 19 percent, Honda, down 16 percent, and Hyundai, which fell 12 percent. Sales at fellow Asian automaker Toyota fell 7.3 percent, while Renault was down 5.5 percent. Winners last month included Volvo, which jumped 27 percent, Jaguar, up 20 percent, Seat, up 7.2 percent, and Mini, up 5.1 percent. Skoda sales rose 2.5 percent, while Kia was up 1.3 percent and Land Rover sales remained flat, rising just 0.1 percent. Through March, UK sales fell 2.4 percent to 701,036. The UK government's ongoing battle to find a way out of the impasse over Brexit, originally scheduled for March 29, is hurting consumer demand in a number of corners of Britain's economy. Airline EasyJet warned this week that it was expecting a weaker summer travel season, while shares of cruise and tour provider Saga fell 38 percent Thursday. It partly blamed a drop in travel bookings. As well as being Europe's second-largest car market, the UK is also the continent's fourth-biggest vehicle manufacturer with companies such as BMW, Jaguar Land Rover and Toyota and their suppliers reliant on cross-border supply chains and tariff-free access. 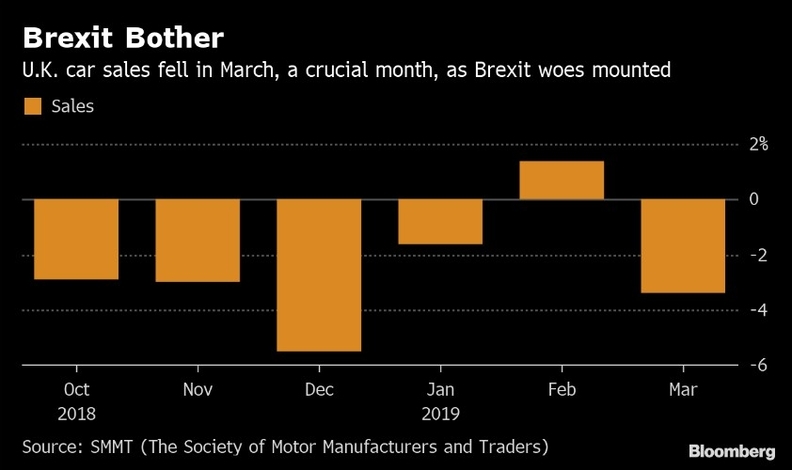 "I stopped trying to calculate the potential Brexit fallout," Wolf-Henning Scheider, CEO of German supplier ZF Friedrichshafen, told reporters Thursday. "What's clear is that a disorderly Brexit would cause significant financial damage."